"What do we do?" This is the simple question we asked ourselves over and over again when we heard our unborn daughter had signs of a cleft lip and a heart defect during her 20 week ultrasound. What DID we do? We cried. We worried. We thought of all the worst case scenarios. Then we called doctor after doctor to try to sort out what would happen to our daughter when she was born, what we needed to do to keep her safe and thriving in utero, and how we needed to prepare physically, logistically and emotionally when she arrived. After a month of trying to find the right doctors and care plan, we spent the next 20 weeks going to countless ultrasounds and prenatal visits to ensure our baby girl was going to make it full term. Then Livia Regan Etue was born on 3/27/17. We fell in love with our gorgeous fighter right from the start. We had a C-section and she was immediately whisked away to the NICU at Prentice to check her heart and respiratory status. From the few minutes we were able to see her, we could see the severity of her cleft lip AND palate and her increased work of breathing. What is going to happen to our beautiful baby girl?? How do we help her? We felt helpless and overwhelmed. Those first 24 hours were a whirlwind. Livi was turning blue periodically, she was breathing extremely fast, and something just seemed different about her. A bunch of specialists came in and out of her room speculating on the nature of her differences, but no one could tell us what was wrong with our baby or what we needed to do. Why was she breathing fast? Is there a deeper genetic component to all of her symptoms? Who are all these doctors and which one is the single point of contact to ask all our questions? Can she eat by mouth? Is there a coarctation in her aorta? Finally she was sent over to Luries NICU later that night for more specialized testing. The next few days were a blur. 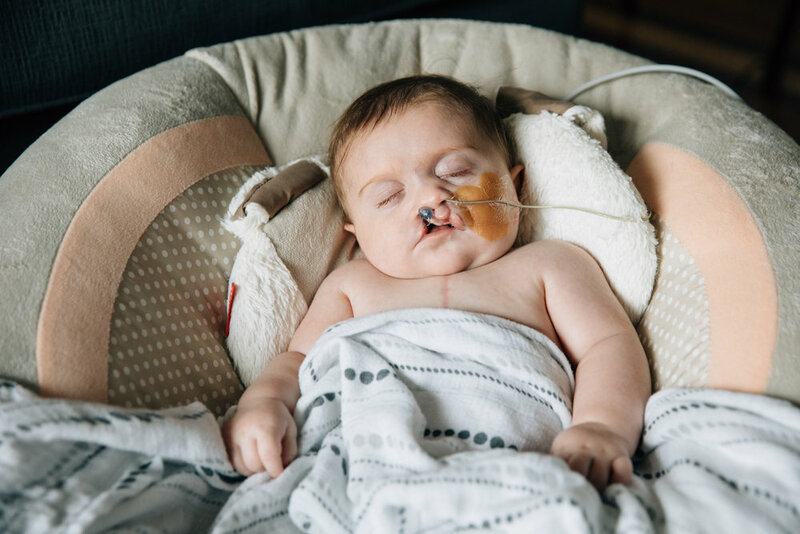 We found out Livi had hearing loss, vision loss, malrotation of her intestine, a coarctation in her aorta which required immediate surgery, a hole in her heart that would require open heart surgery at around 6 months, and a bilateral cleft lip and palate. Doctors started throwing around the words “Charge Syndrome.” We had SO many questions and so few answers. We were completely overwhelmed, scared out of our minds, in mourning, and numb. How did this happen? What was going to happen to our little girl? How will she thrive? What will her quality of life be? How will this affect our family? How do we get her tomorrow let alone her first birthday? Fast forward to today. Livi is 8 months old and THRIVING. I want to tell you it was all due to parental tender loving care…but it most definitely was not. 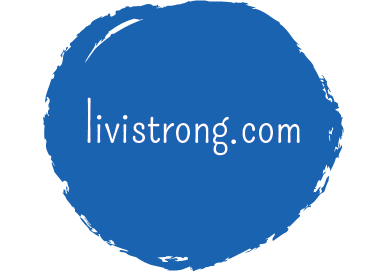 Livi is thriving because of the hours my husband and I spent coordinating doctors visits, therapies, medications, feedings, and surgeries. She is thriving because we made care coordination of her medical needs a priority, and frankly, a full time job. Coordinating her care meant less time under anesthesia, more time at home for that TLC, sedated hearing and vision tests at 4 months old so she could get hearing aids and glasses ahead of schedule to assist in her development, helping her to gain weight by inserting a gtube and fixing the malrotation in her intestine, getting her to a good weight and size for open heart surgery, and countless sessions of PT, OT and speech therapy to continuously progress her development despite her setbacks. We dove head first into educating ourselves on Charge syndrome, talking to other families with Charge kids, learning what the state had to offer from Early Intervention and DSCC, and trying to determine the schooling options for our little peanut. We were able to do this with GREAT healthcare benefits, family support, daycare for our son, jobs that were extremely flexible and allowed for us to work from home, very understanding compassionate employers, an emotional support system, financial and medical resources, and accessible transportation. If you do not have these things how does a medically complex child thrive? How do parents hold on? How do you determine a care plan for your child that will lead to their best shot at life?